Roush performance has certainly become a household name when it comes to aftermarket Ford and Mustang equipment and accessories - From blowers to body-kits or even propane-powered hotrods they have everything you need to turn your ride into something to be envied by all. 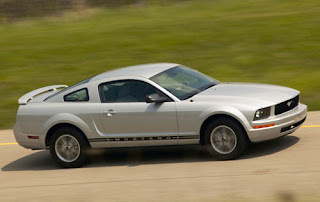 Of course, if you own one of the many Roush ponies to be created over the years you already know this. Since Roush feels there are enough enthusiasts and owners to really get something going, they have decided to launch a new in-house lifestyle club for all to enjoy. A live webcast was held on their website and was recorded, so for those who missed it, it can be watched here. For more details you can also visit their website. One of the first things we were all wondering is what the name of this new club would be, and unfortunately that information is undecided at this moment, but they were polite enough to let us know what the 4 current options are - 1. Roush Fastbacks, 2. Roush Owner's Club, 3. Champions Of Roush Performance, and the fourth choice is going to be a wild card submission. A live poll for voting on the name will be held between December 23rd and January 31st and then the final name will be announced in February, followed by a club logo unvieling. The voting will be held at roushperformance. For a membership cost of $35 per year, you'll get to partake in various events such as weekend cruises, Mustang week in Myrtle Beach, as well as one grand national event per year that will be a culmination of a cruise, autocross event, track day, car show, sight seeing and much more. Included with membership will be a 10% discount on all Roush parts, free club hat, as well as one forum/website solely for the club along with their own Facebook page. Current ROEA (Roush Owners And Enthusiasts Association) members will get a free 1 year membership to the 'club' if they choose to do so. This club will surely bring together many mustang enthusiasts from around the country and we are glad that Roush is dedicated to providing an atmosphere for this to happen. 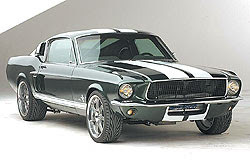 This entry was written by by Chris Taylor (Stang TV Forums) and posted here on Wednesday, December 16th, 2009 at 4:07 pm and is filed under Vintage Mustangs. This article was not written by us, rather gathered using RSS feeds listed here. We take no credit for this article. Both comments and pings are currently closed.